Has your world been turned upside down? 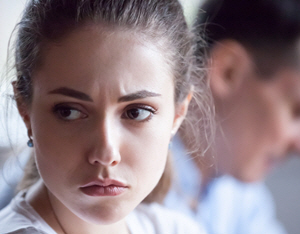 Have you discovered things about your partner that are deeply hurtful or disturbing? Do wonder if you can ever feel the same way again? Does your partner constantly find fault with you? Do wonder if she or he will ever be satisfied? Are you exhausted by the constant arguing, and wonder how much more you can take? Or has the connection and synergy you once felt with your partner has been broken, and now you’re just going through the motions? If your answer to any of these questions is “yes,” let’s get started. For over three decades, we have been developing and refining a step-by-step method that will put your relationship back on track. Unless circumstances prevent it, we’ll meet with you and your partner together for the first session. Then we’ll meet with each of you for separate sessions during the following week. These three sessions will be devoted to understanding each of your concerns, your relationship habits, your dreams, and what it feels like to be each of you in this relationship. Then we’ll discuss a plan with you for how to make your relationship better. We’ll guide you through three phases of therapy along your way to a better relationship. In the first phase, we’ll do most of the “heavy lifting” for you. Your job is simply to be open to trying new things and follow our lead. We’ll quickly identify your core issues and talk to each of you about the changes you need to make in a straight-forward, no-nonsense way. If this sounds scary, it’s really not. You’ll feel supported and understood, even when you’re feeling challenged. Do you feel hurt? Betrayed? Stuck? Our calm presence and expert guidance will enable you to have healing conversations with your partner that you couldn’t otherwise have, and you’ll quickly resolve issues that have stubbornly refused resolution in the past. With very few exceptions, people who work with us are amazed at the changes they see in the first month of counseling. 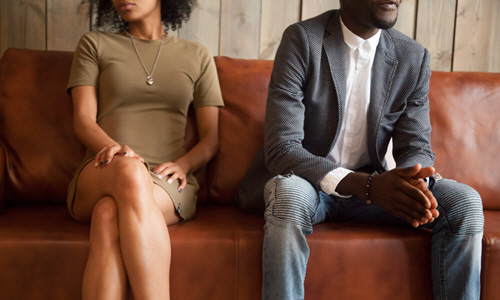 Scientists have discovered that the wide range of bad things that happen in relationships can all be traced to a single cause – deficiencies in the core set of abilities that are necessary for relationships to go well. There are abilities that are shared by almost all people who know how to get their partners to treat them well, and thanks to decades of painstaking research, we now know exactly what they are. In Phase 2, you’ll receive step-by-step guidance that will enable you to develop the full range of relationship habits that are needed for your relationship to thrive. Counseling sessions will be supplemented by dozens of between-session exercises (detailed in our book, Developing Habits for Relationship Success) that are designed to rewire your brains for more flexibility. We’ll recommend an extensive collection of readings and audio resources that will help you avoid common pitfalls and stay on track with the changes that you need to make. Your therapist may also suggest the option of using smartphones to exchange audio messages between sessions, enabling you to receive guidance at the moments when you really need it instead of having to wait until the next scheduled session. Breaking old habits requires hard work, but your relationship won’t thrive if it’s all work and no play. 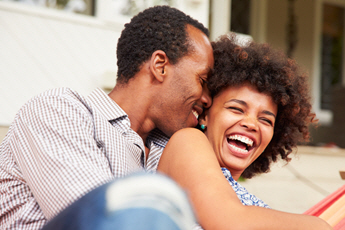 Couples whose relationships flourish have fun together. They miss each other when apart, enjoy tackling challenges together, look forward to talking about their individual triumphs and challenges, and they love the feeling of being co-adventurers in life. Their interactions are saturated with warmth, tenderness, affection and genuine interest. In the last phase of therapy, you’ll become experts at sparking feelings of love and desire in each other, and you’ll engage in exercises that increase carefree, enjoyable moments. You’ll discover ways to open your hearts, allowing feelings of warmth, tenderness, affection, playfulness, sexual desire and loving connection to increase. The length of therapy will vary according to your needs, and how much energy you can invest in the process as it unfolds. In the first weeks, your therapist may recommend more than one session per week. As the weeks go by, sessions will be needed less frequently. Some partners feel satisfied with their changes after just a few weeks, and some continue to feel that important changes are happening for an entire year. In general, we recommend that you consider committing yourself to a minimum of three months of regular therapy sessions. Of course, you can change your mind any time along the way. At three months, we will want to re-evaluate to see if further therapy is needed. If you want changes to happen really quickly and you can set aside time in your schedule to accelerate the counseling process, you might want to consider jump-starting therapy by working intensively with a therapist for 4-5 hours per day for up to three days in a row. Are Video Sessions Right for You? If you live some distance from the clinic, you might want to consider video-conference sessions using a program similar to Skype for FaceTime (only more secure). More and more insurance companies are including coverage for video-therapy. Feel free to discuss the pros and cons of different formats with your therapist before beginning therapy. And don’t forget to visit our Frequently Asked Questions page for more information. Many clients find that their health insurance covers a portion of their fees for therapy at the Couples Clinic. If you have questions about how to investigate what your insurance will cover, call our office manager Lori at 630-232-7457, extension 115. We believe that you should know as much as possible ahead of time about what your therapy will be like. That’s why we’ve written books and articles about our methods and stories about couples who benefited from using them. But you might not have time to read. Or you may feel so upset or stressed by your circumstances that you can’t even concentrate. Just call us, describe your situation and ask questions. We’ll tell you how we can help and what your first steps can be. And when you’re ready, you can be on your way to rapid relief within days. Call 630-232-7457.